It is aged for long periods by Thai natural brewing sauce. 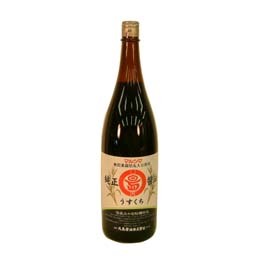 It is soy sauce aged for long term by "old BREW" and old fashioned. In a manger, and carefully aged taste, flavor and aroma are best. ○ long brewing for the high concentration so sparingly please. 1 raw materials soy does not use genetically modified soybeans. Wheat [Hokkaido], salt [Australia and Mexico.